Description: A free customizable negative influence template is provided to download and print. Quickly get a head-start when creating your own diagram of disadvantageous influence on the environment. 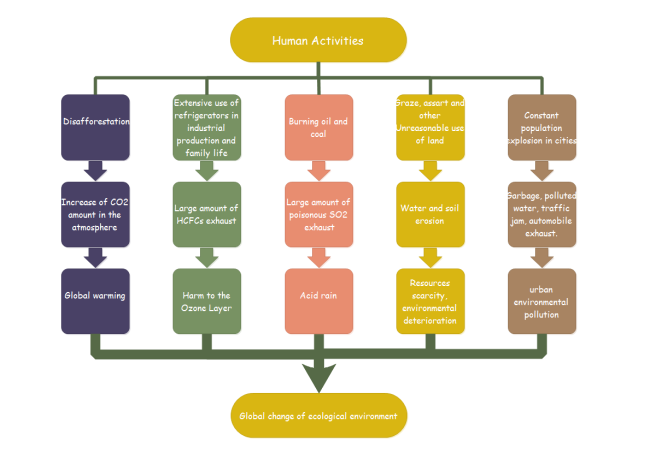 It lists the major human activities that exert negative influence on the environment. Boost your imagination and make more creative graphic organizers with Edraw.